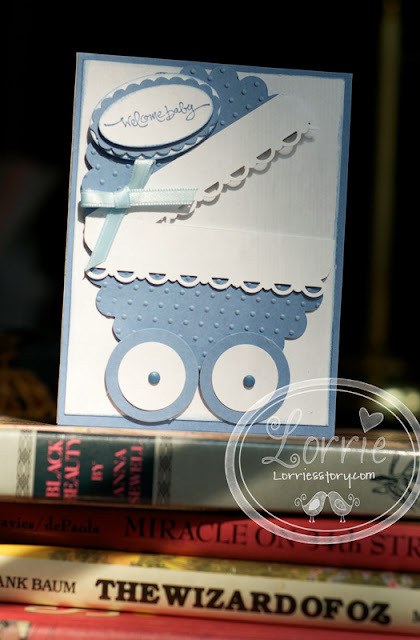 This is a card I saw on Pinterest and just kind of winged it as far as how it went together. I think I made the lace trim a bit too wide, but other than that, it came out kind of cute. Perhaps a patterned background would've made it stand out a bit more.